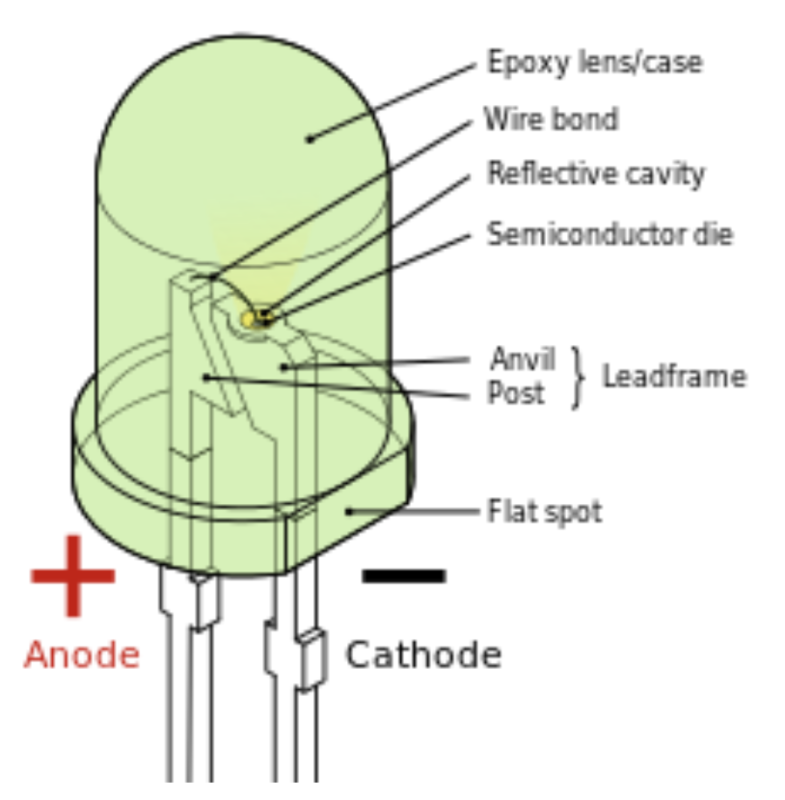 compound used within an LED determines its color, brightness and powerefficiency. Pixel is short for picture element. Pixels are points of light that illuminate together to form letters, words, graphics, animation, and video images. Pixel is what we call each diode on LED screen. 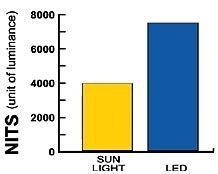 What is NITS (LED Brightness)? NITS is the most common measure of LED Sign brightness. The higher the number of NITS the brighter the display. Sunlight is rated at 4,000 NITS. Red Dot Logics LED signs have a NIT value of 5500 or greater. 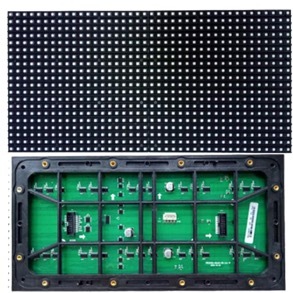 An LED module is a combination of parts that form the building blocks of LED video displays, message centers and dynamic message signs. its essentially a piece of LED board which makes the visual portion of LED sign or LED screen. LED displays are at their brightest when viewed “head on” and slowly decrease in brightness as the viewing angle increases. 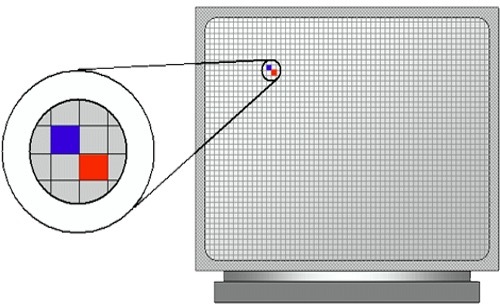 The viewing angles of an LED display – both horizontal and vertical – are the angles at which the intensity has dropped 50 percent from the direct “head on” brightness. How much do I have to pay to get started for LED screen Order? we require atlas 50% downpayment to start production of project which normally takes 20-30 days for manufacturing process which is when rest of the payment is required before leaving our factory. What is the turn around time on a cable order? We custom make cables to your specific requirement which can take up to 2-3 days on average. Please call or email us for specific delivery date and instruction. Can we move license to another Mac for Pixel Perfect LED software? Sorry, but license key to our software is only meant to be used on one Mac computer only. However if you would like to add license to multiple computers we can make you special offer, Please contact us for options. Is Pixel Perfect LED software refundable ? Sorry, just like every other software in market they are not refundable which is why we offer FULL VERSION for free to try for few days so you can decide if tis for you or not before purchasing it. If you have any problems Please let us know and we can try and fix it or help you with any technical support. Please do not update ODX as soon as it comes out as you may experience some bugs. 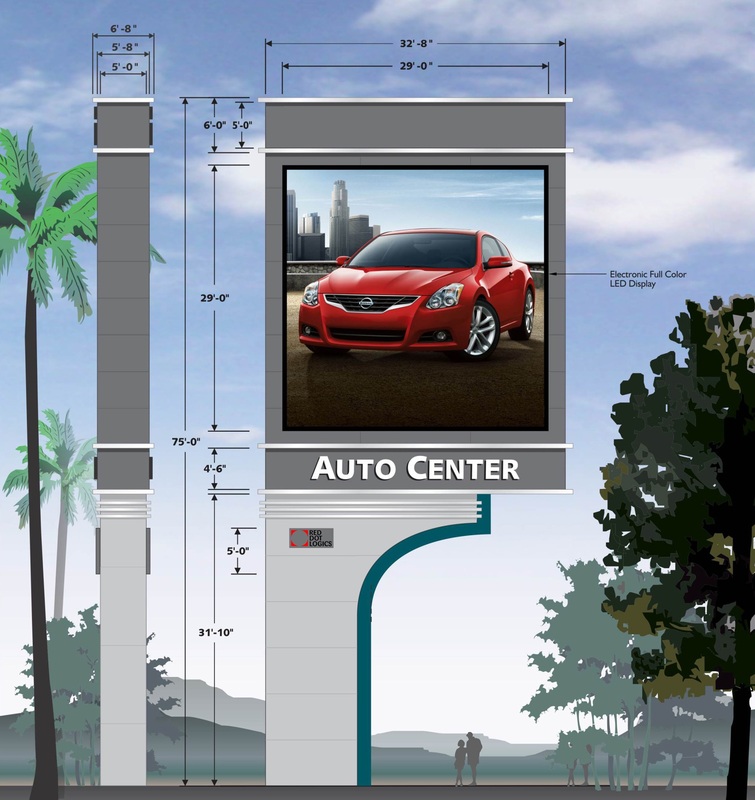 How does zonning and permits work for LED signage screens? Zoning concerns are a great reason to work with Red Dot Logics. We can accommodate the requirements of local sign ordinances and meet all specifications. Communities across the globe and professionals within the signage industry have found a common area benefitting both groups. Below are a few things to consider during the zoning and permitting process. Operational LED signage can help local businesses thrive reduce sign “clutter” on densely populated streets. Red Dot Logics products are also designed keeping zoning aspects in mind. Hence, both our signs and software can be tailored to match the brightness, hold times and transition settings mandated by your local zoning ordinances. LED signage also broadens the community’s tax base. How communities enforce guidelines for signage can vary, which is why it’s important to work with a sign company that has experience with the zoning and permitting process. Red Dot Logics can assist with the process and work with you to find common ground with your local zoning board. When it comes to zoning and permitting, it is important to understand that everyone involved, from the sign manufacturers, sign dealers, to the municipal officials, all have the same principal goal—ensuring any signage incorporated into a project enhances the community and does not pose a safety hazard.